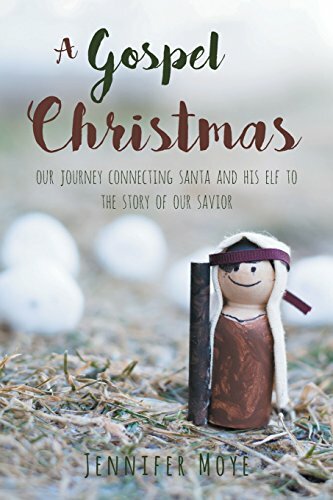 Have you as a Christian ever wondered how you can tie in Santa without deviating from God’s Holy Word and your beliefs or having to lie to your children about a magical man who breaks into your home just to leave presents? Well, we did too. We actually do not do the whole Santa bringing gifts thing; however, we also do not avoid the man in red either. I know, plain as mud, right?! 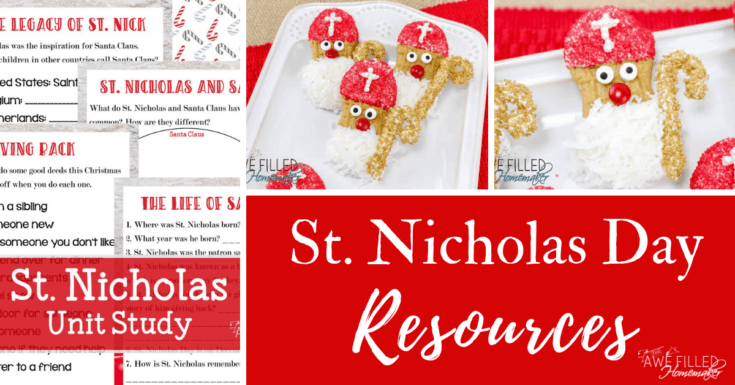 These St. Nicholas day resources might help explain what I mean. I have written many posts found on my blog sharing that we participate in Advent and how we have handled participating and not participating in the “jolly man in the red suit riding in a sleigh pulled by flying reindeer bringing presents” thing. Although we have elected to not say “Santa brings the gifts, I do include the true story of Saint Nicolas and we very much enjoy seeing the man in red and this season. We wanted our children to understand at the very core that Christmas simply wasn’t about them. 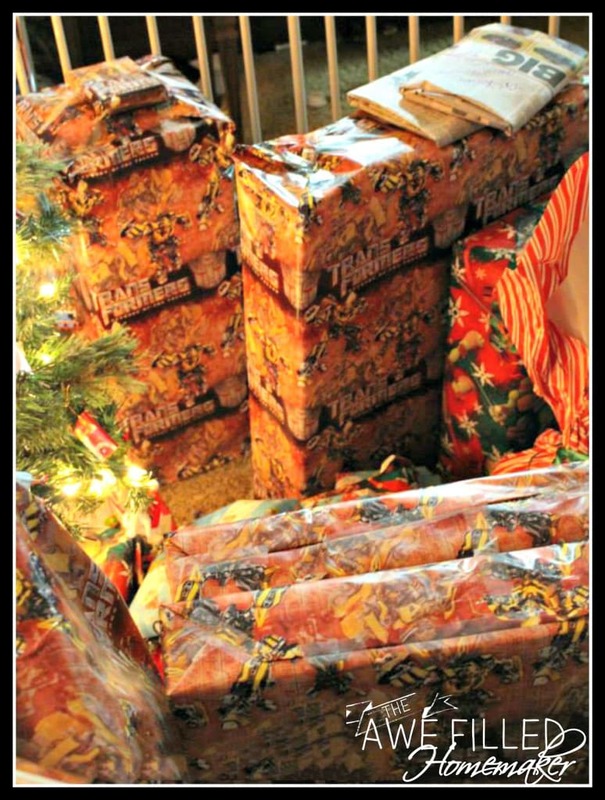 I wanted them to realize that our gifts should be a reflection of the gifts God gave to us in His Son, Jesus. Sure, I wanted them to experience the excitement of seeing a “Santa” at the mall or the excitement from participating in St Nicholas Day, but they needed to know in their hearts that the reason for the excitement was because of the birth of our King. Even though they knew these things in their mind, I don’t think they wanted to believe it. I think they wanted to believe the fictional story of Santa Claus. How did we break through to them? 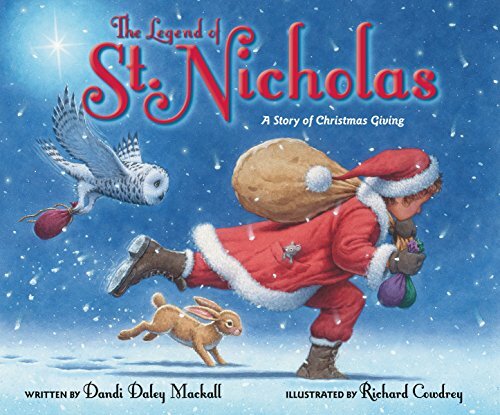 Well, we first began by explaining who Saint Nicholas was and then telling how the story of Santa was born. Basically- we shared the truth with fun facts you will find below and in the unit study at the end. 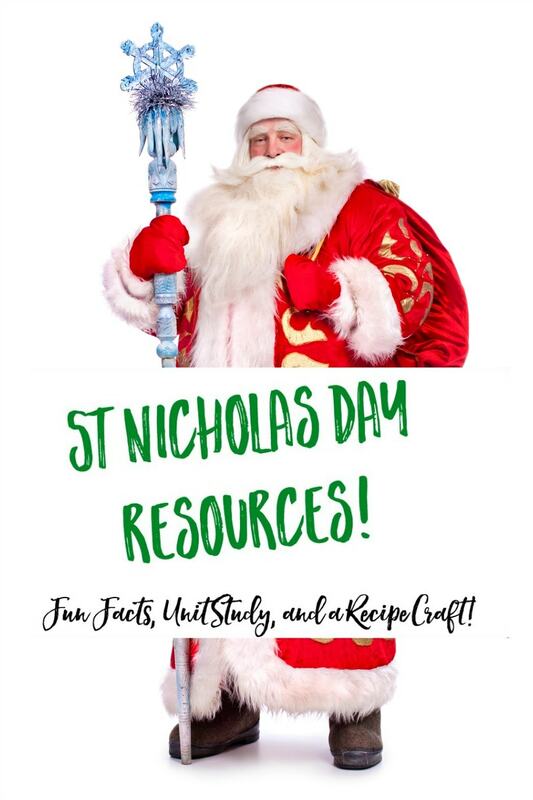 Let’s discuss some fun facts about St. Nicholas. 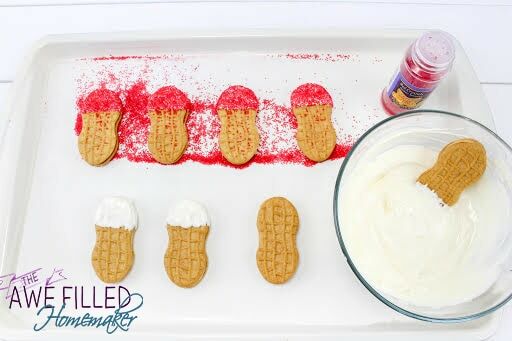 Join: Awe Filled Homeschool Connect & Cooking Whiz Cafe on Facebook! St. Nicholas was a bishop who took care of those who needed help. 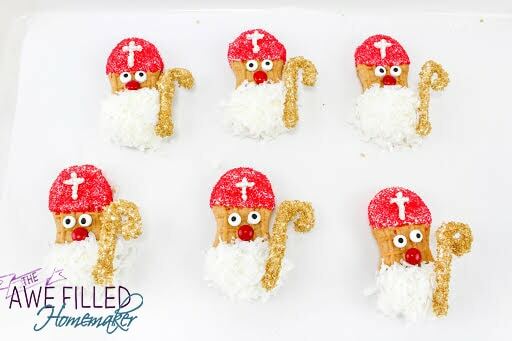 Born around 280 AD, St. Nicholas was a bishop who had a passion for helping those in need. He would care for the sick and poor by bringing them food, gifts and supplies. 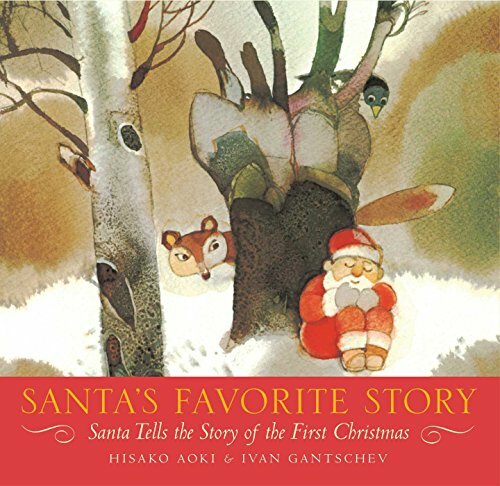 His kind, generous spirit made him the basis for the Christmas character of Santa Claus. 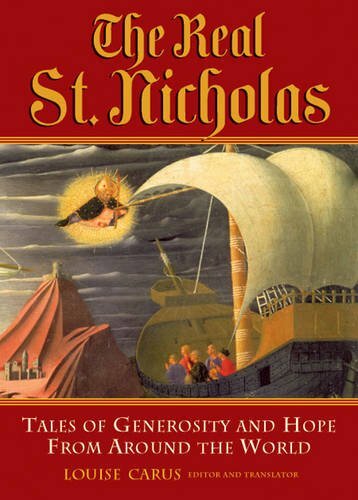 St. Nicholas used his inheritance to help the poor. 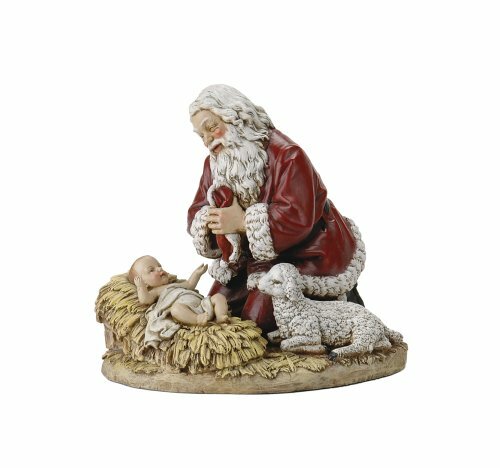 Sadly, St. Nicholas was orphaned as a young man. Instead of spending his inheritance from his parents on things for himself, he used the money to take care of those who were struggling. There are many tales of his generosity and how he helped everyone from those who were wrongly imprisoned to women who were going to be sold into servitude. Many people celebrate the Feast of St. Nicholas on December 6th. 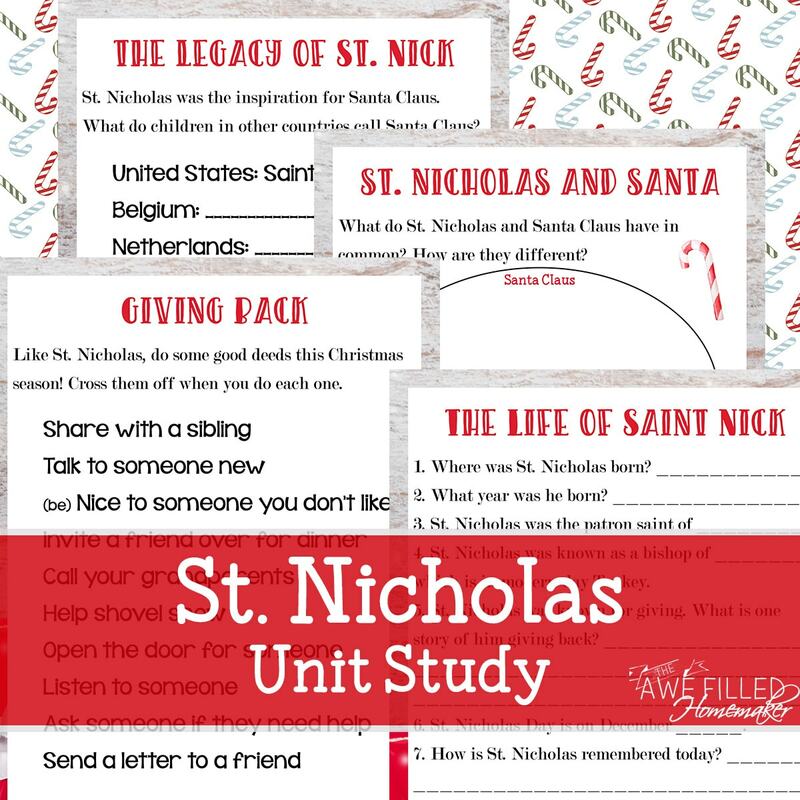 It is believed that St. Nicholas passed away on December 6th, 343, but his legacy lives on. Due to his kind heart and protective nature, he became known as the protector of sailors and children. He was also well known for his gift-giving, so it was a natural fit for him to be thought of as Santa Claus. In fact, the Dutch people had a nickname for St. Nicholas, Sinterklaas, which sounds very similar to the modern, Anglicized Santa Claus version. St. Nicholas lived in Turkey – not the North Pole. 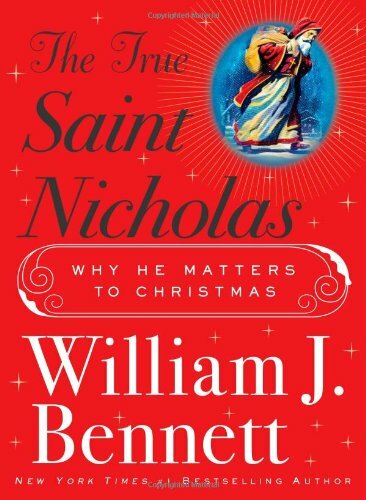 Unlike his jolly caricature, St. Nicholas didn’t live at the North Pole with elves. Instead, he lived his life in what is now Turkey. He is buried at the Basilica di San Nicola in Bari, Italy. 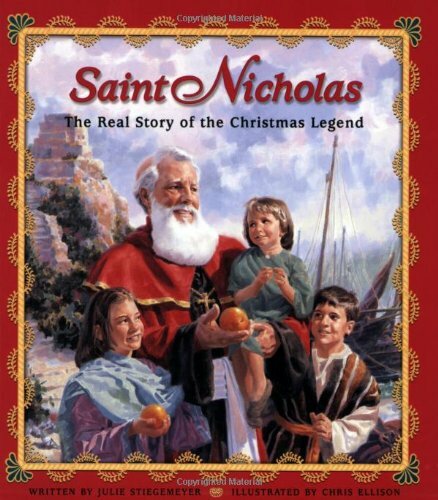 St. Nicholas is one of the most honored saints. 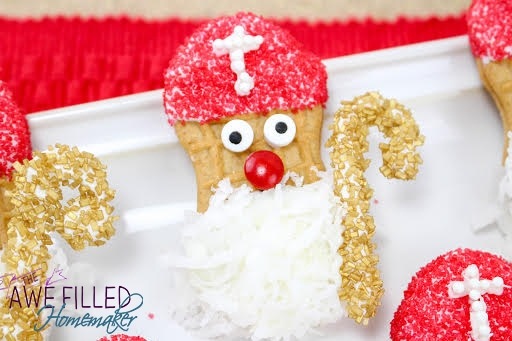 St. Nicholas was well-loved and highly regarded across the world. In fact, there are almost 400 churches in England that are named for and dedicated to him. It’s thought that his likeness was painted more times than any other saint except the Mother Mary. Read: More Christmas & Advent Posts! So how could we tie all this together without compromising our beliefs? 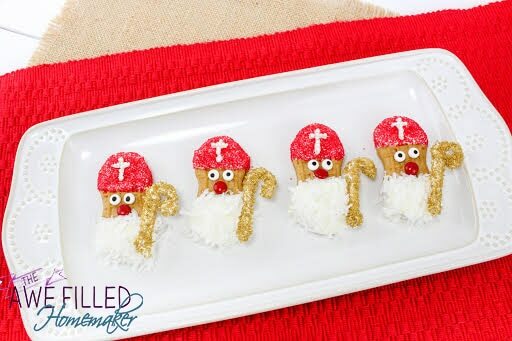 Well, last year I wrote a great post about how we included the tradition of St. Nicholas Day in our family. 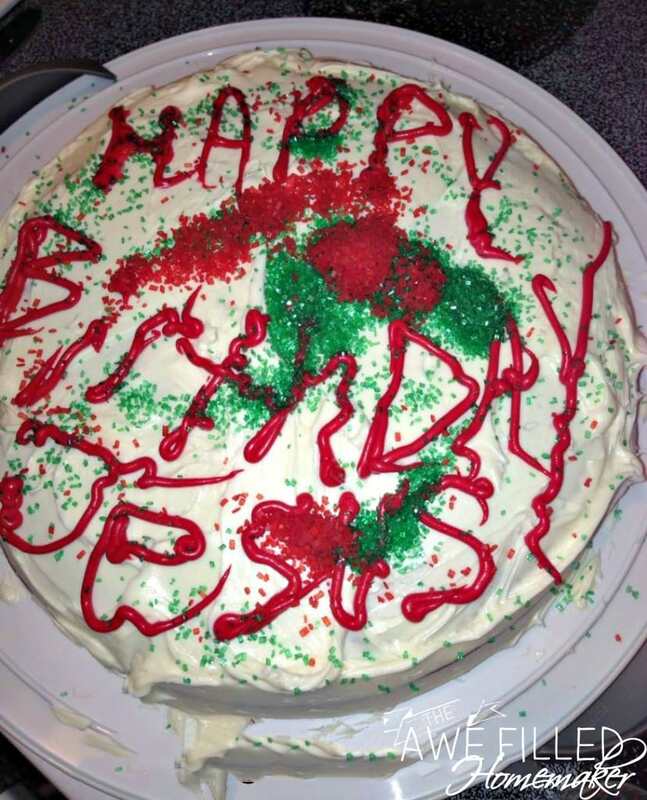 Since adding this to our traditions, our Christmas has been even more blessed! 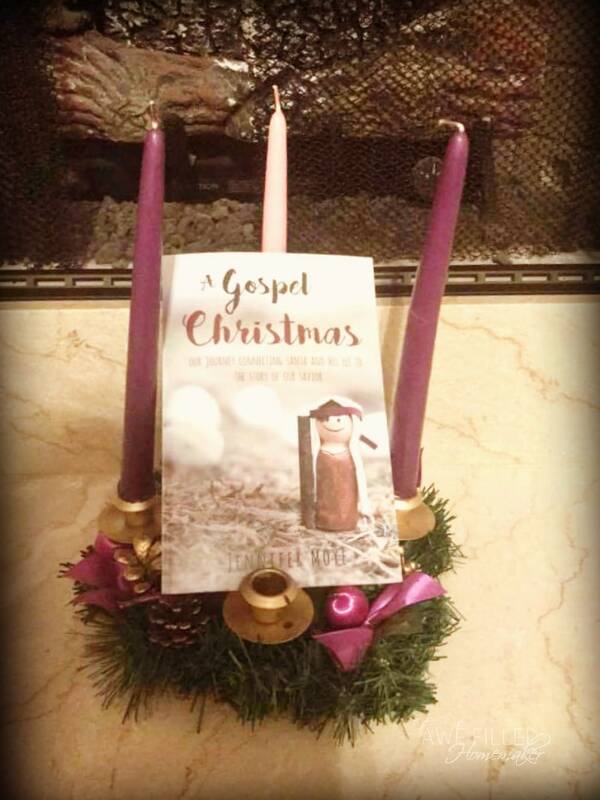 Also, my friend Jennifer Moyer wrote the book, A Gospel Christmas. She had similar issues we had and wanted her kids to still be able to have ALL the fun of Christmas and not avoid holiday parties while still staying true to the King of Kings! Deuteronomy 6: 5-9 Love the Lord your God with all your heart and with all your soul and with all your strength. These commandments that I give you today are to be on your hearts. Impress them on your children. Talk about them when you sit at home and when you walk along the road, when you lie down and when you get up. Tie them as symbols on your hands and bind them on your foreheads. Write them on the doorframes of your houses and on your gates. A Gospel Christmas is their journey. 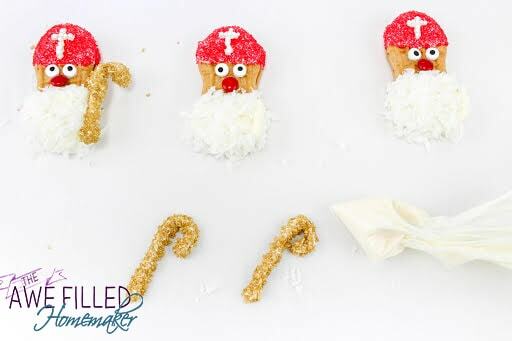 It is how they found a way to connect Santa and his naughty little elf to our greatest gift of all. It is personal and transparent. It is messy at times and most importantly it is real. It is a story of how God lead us to Himself and made a huge impression not just on the hearts of children, but on adult heart as well. Through the 25 days in December they walked through the life of Jesus in a very practical, easy, and kid friendly way. They read scripture together, did crafts, talked, gave to others, cried, and laughed. From her words “It was the most beautiful thing to see the gospel of Jesus come alive in our children’s’ hearts. If you haven’t had a chance to check out her book, I encourage you to do so!! It’s just in time to prepare for for Advent and Christmas. 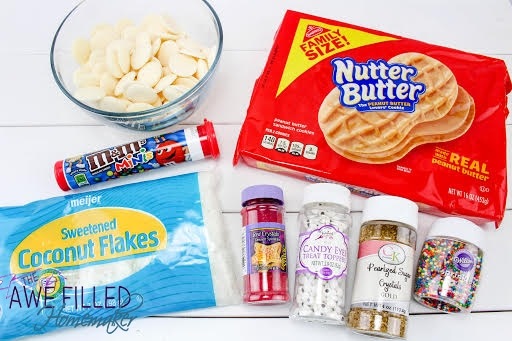 Melt chocolate in a bowl per package directions. In a small plastic baggie, place a little bit of the melted chocolate, and cut a corner off. 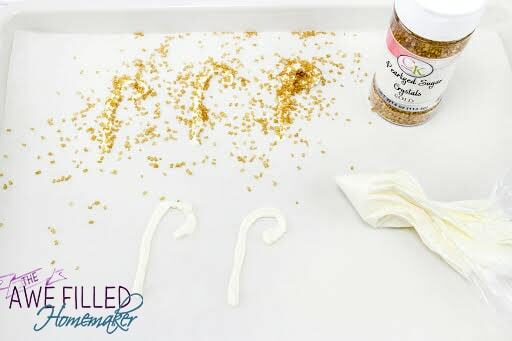 On parchment paper, pipe thick small little staffs (a little shorter than the cookies) and sprinkle the gold sugar all over them until fully covered. Make 8 of these. Set aside to harden. 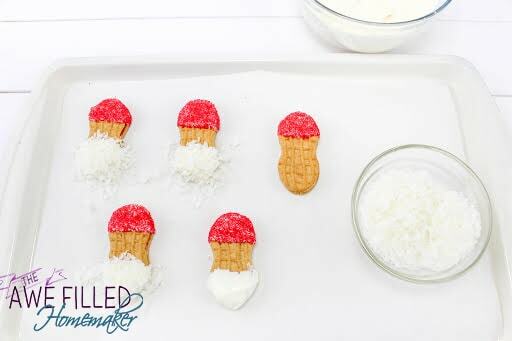 Next, dip one end of the cookies into the chocolate and sprinkle with the red sugar. Let harden. Then, dip the other end of the cookies into the chocolate and coat well with the coconut. Let harden. Now, using the chocolate in the baggie, attach the eyes and a red nose to each one. 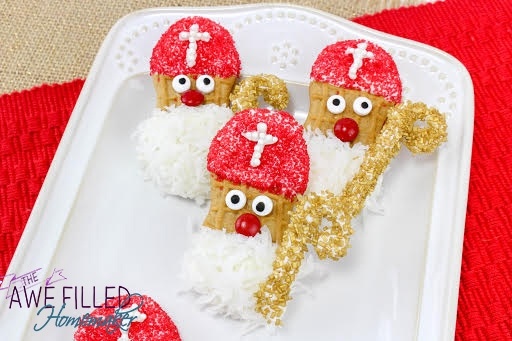 Pipe a tiny cross on the red sugar hats and place the little white sprinkles over each cross. I used a toothpick to help put them in place since they are so small. 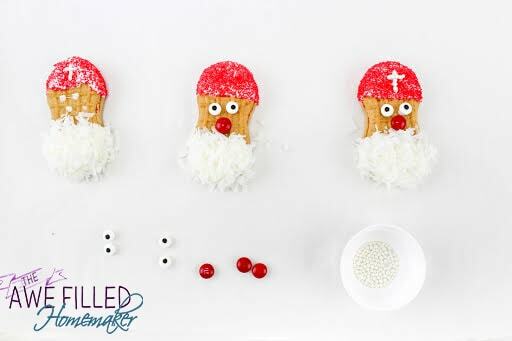 Pipe a thick line of chocolate on the side of the beard and stick the staff on. Hold for a minute until set enough for it to stay in place. Let these set for about 15 minutes to make sure the chocolate is hard. 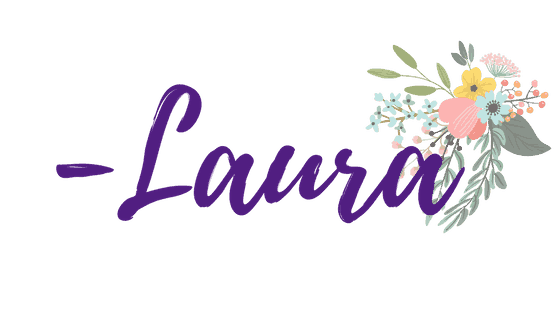 Love all of these Laura! Thanks so much for sharing! !